We’re back! It had been one hell of a 3-month stay back home in Sydney and whilst we enjoyed every moment of being home, we were definitely itching to get moving again. 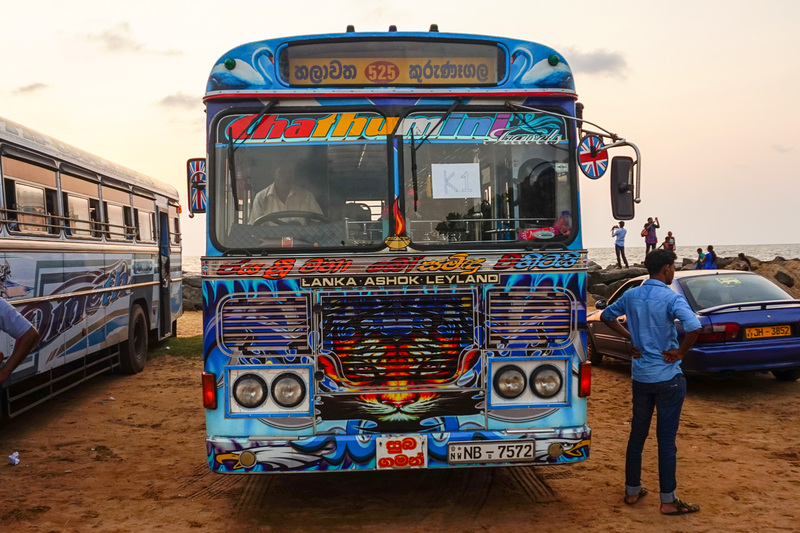 So, here we are, back on the road in the beach town & fishing village of Negombo, Sri Lanka. One of the first things people search when visiting a new town is “what do to in x“ and then you’re usually bombarded with numerous blog posts, travel articles and overwhelming information. I hate to dampen the mood but at Negombo beach, you won’t find a whole lot to do. So why do people stay here? 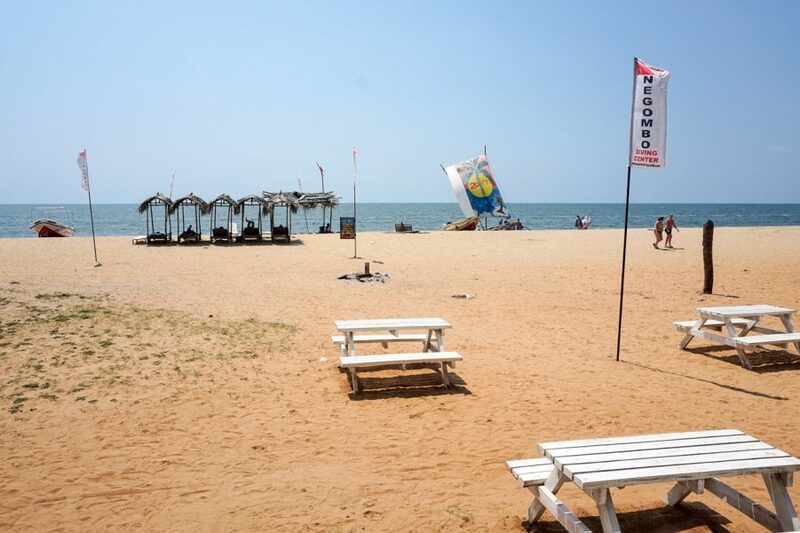 Negombo Beach is where the majority of tourists start and end their trip in Sri Lanka due to the close proximity to Colombo International Airport (8km away), the main airport serving Sri Lanka. And that’s why we were here too. 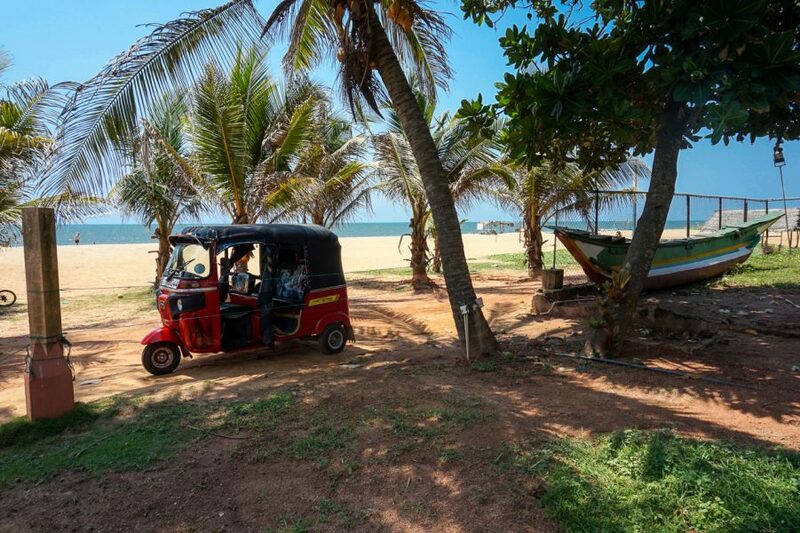 Starting our Sri Lankan adventure in Negombo was the perfect introduction to the country and a definite insight into how amazingly friendly the Sri Lankan people are! Smiles from ear to ear, helpful people everywhere and we’re not talking about the annoying in your face type of helpful, just down right genuine people. The streets weren’t too crowded and the horns were at ease… thank god! 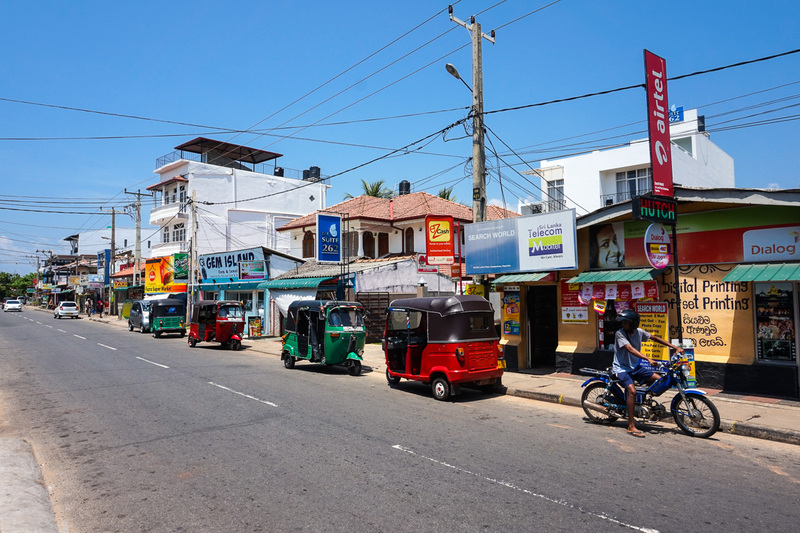 The main street is scattered with green and red tuk-tuks, restaurants serving both international and Sri Lankan specialties, guesthouses, large resorts and family villas. 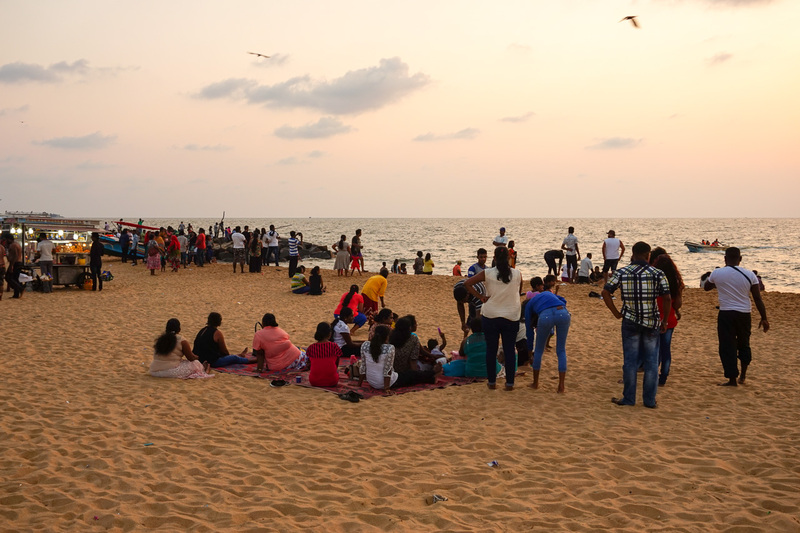 On the beach, You’ll find plenty of room to sunbake, a spot to watch the locals, along with the fishermen going about their business & a sunset to end the day with. 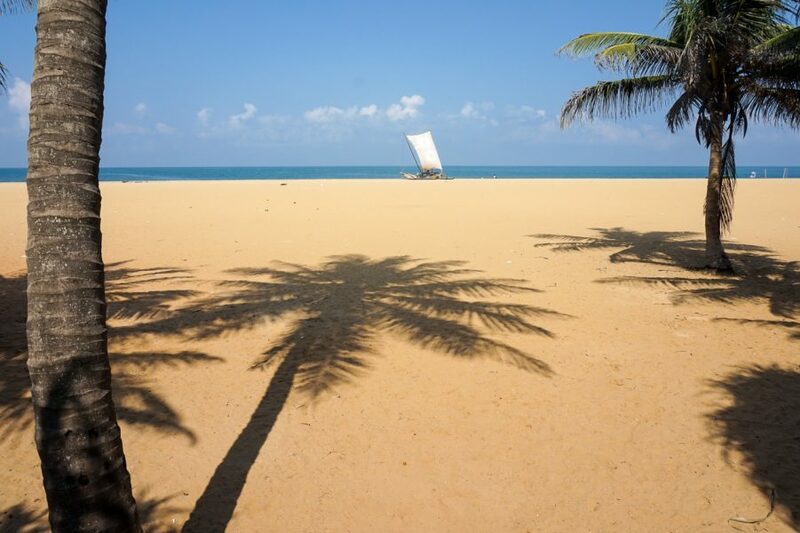 Where to stay in Negombo? Are you after a beachfront resort with a swim-up bar? Got it. Looking for a hostel dorm room? Got it. Want to feel a part of a local family? Got that too! 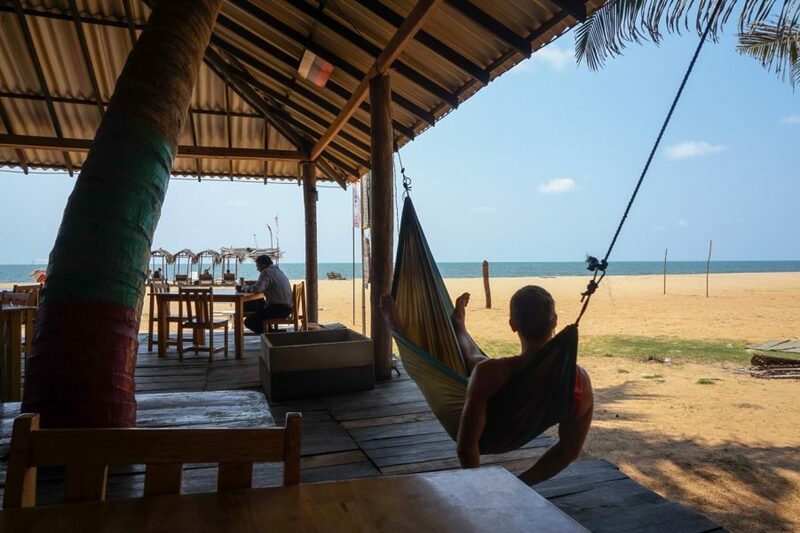 There was an overwhelming amount of choices for where to stay in Negombo but for our first 2 nights in a new country, we wanted somewhere safe, comfortable, clean and with local interaction. 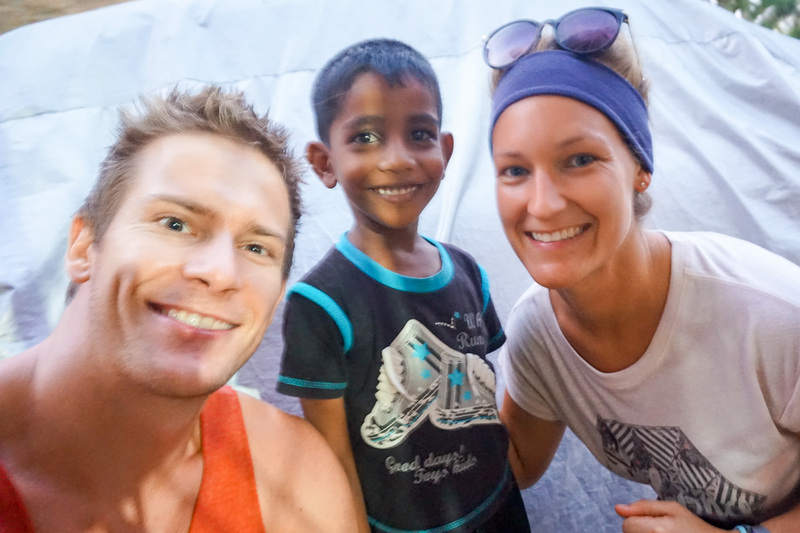 Lakshmi Family Villa ticked all the boxes and then some. 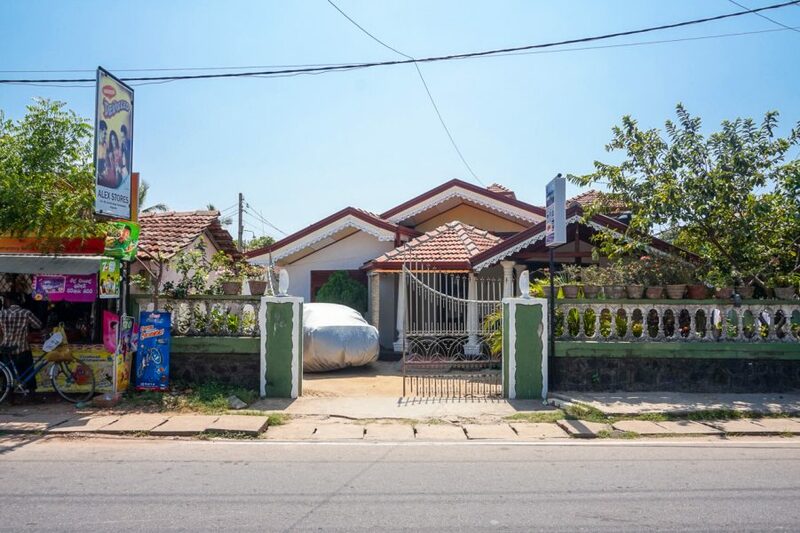 A recently launched guesthouse with only 2 rooms, this family puts their guests first in all aspects of hospitality including home-cooked meals, airport pickups, tour organisation and general conversation. 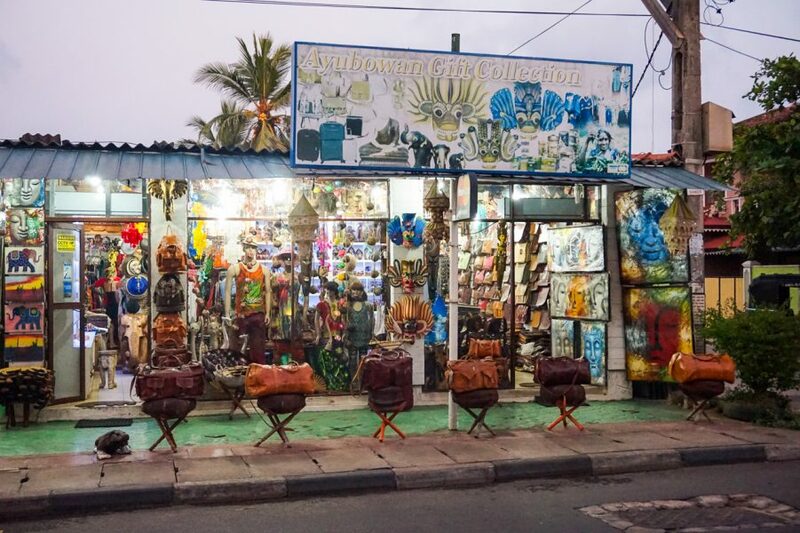 The beach is a 5-minute walk away as well as many restaurants, tour offices and supermarkets. 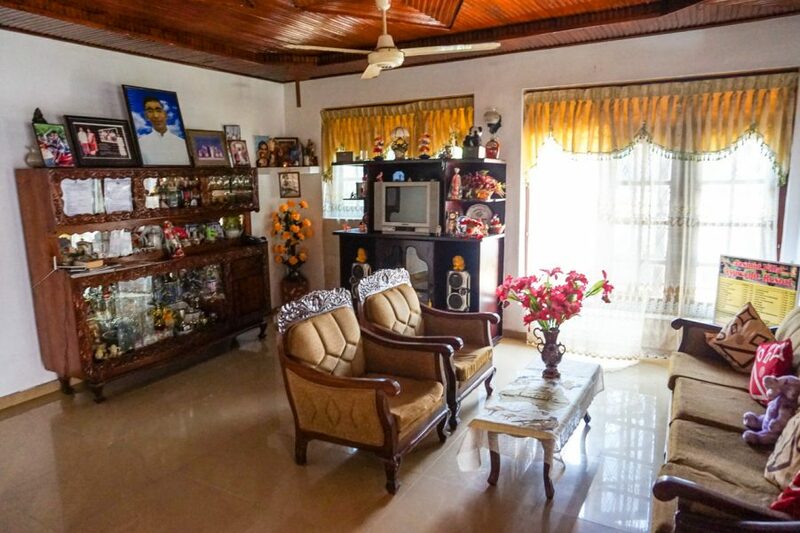 Double room $16 USD with an additional cost of $6 for A/C. 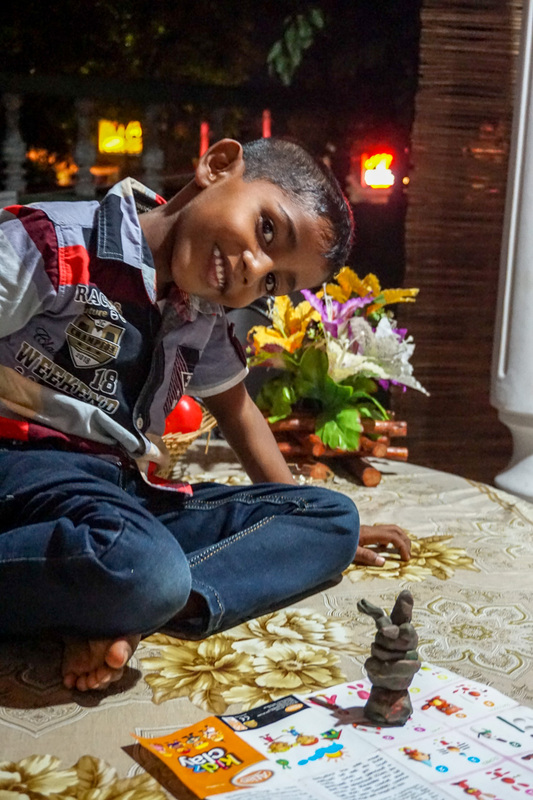 During the evenings we interacted (in broken English) with their youngest son, played games with him and taught him a few basic English words. For the remainder of our stay, he knocked on our door and as we opened it, his big brown eyes stared straight into our hearts as he simply said “play”. He was so adorable. 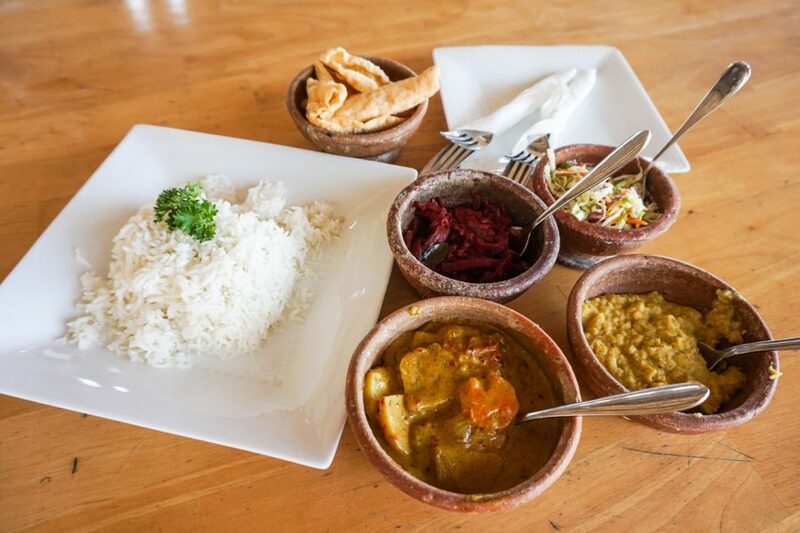 Real Sri Lankan food is hard to come by in Negombo, so don’t get too excited about the food here. 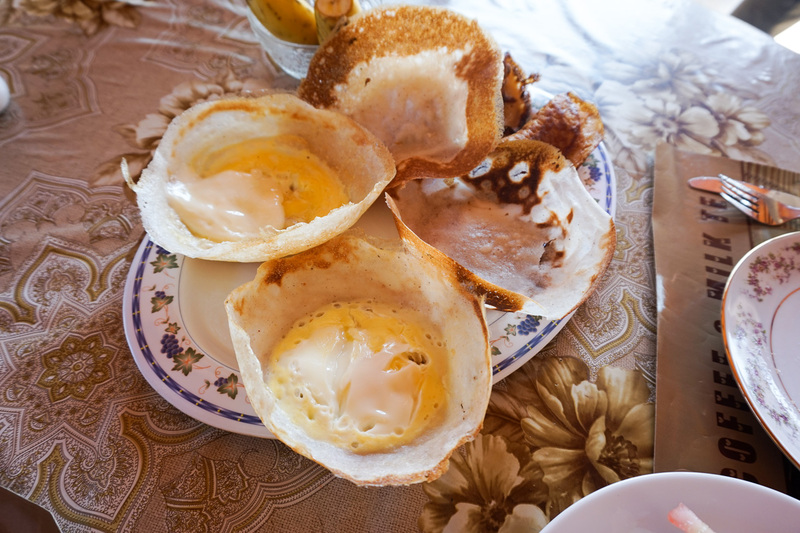 Many of the restaurants serve an array of western dishes and some local specialities. You won’t find as many local eateries as you would around the rest of the country, but there is still an abundance of places to grab a bite to eat with seafood being the main focus. An average meal will cost $5 USD or less if you aren’t involving seafood. 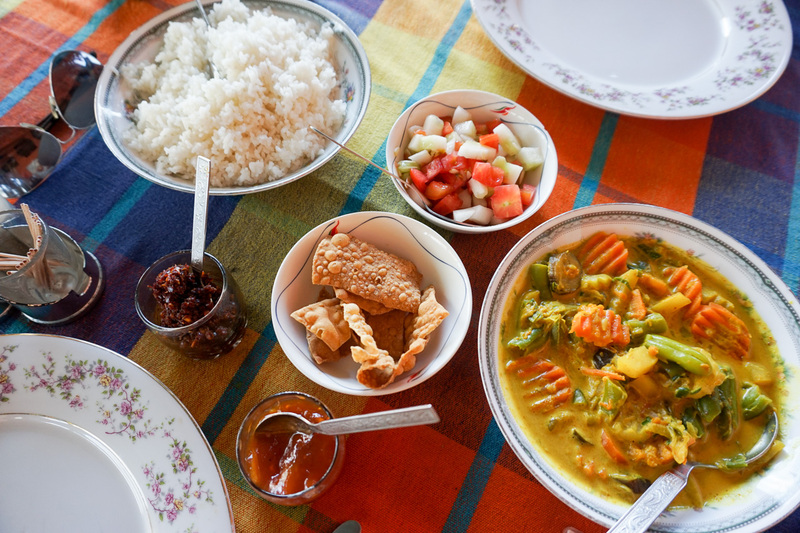 If you’re staying at a guest house, we recommend asking them to put on a meal for you, not only are you supporting them but it feels like you’re eating at home. 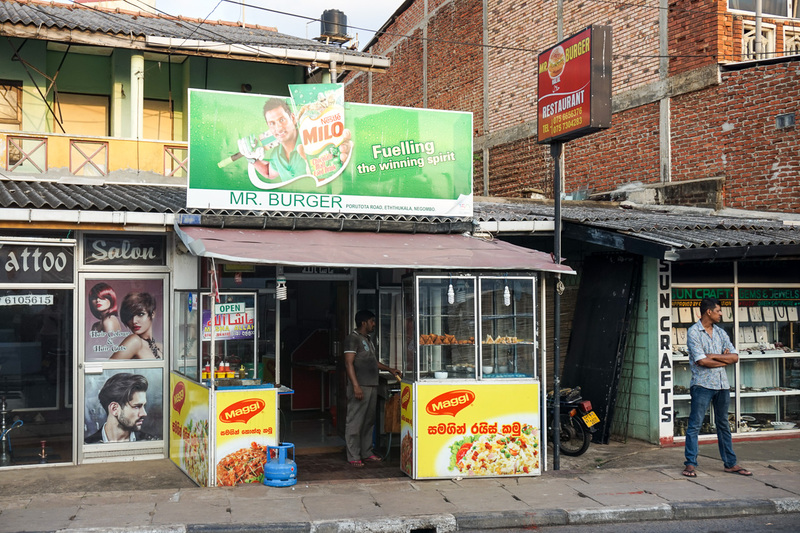 Mr Burger – (Opposite King Coconut Hotel) Keeping it simple serving the basic of dishes but bloody good ones! Hoppers, Stuffed Parathas and Kottu. Cheap, cheerful and no, there are no burgers. 6 stuffed Parathas (don’t mind us fatties) for a mere $1.50. 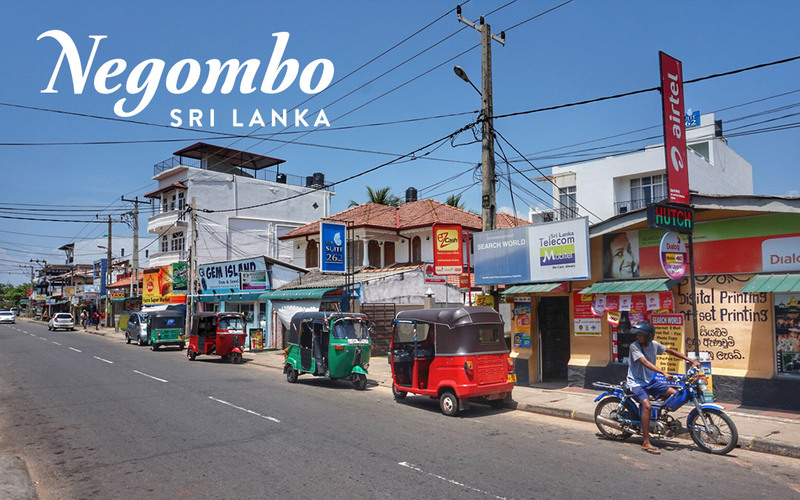 This joint was our Negombo highlight and a must visit! Sea View – Curries, juices and seafood. Be sure to ask what the fish of the day is. The Port Beach Restaurant & Pub – Relaxed beachfront resort with live music on the weekends. Small portions but tasty. 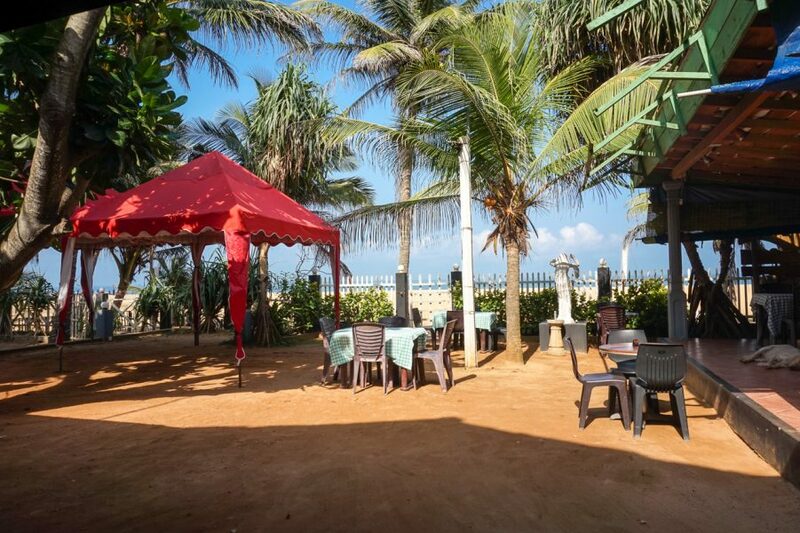 Dolce Vita – Beachfront restaurant serving western dishes with a variety of western style coffee choices. 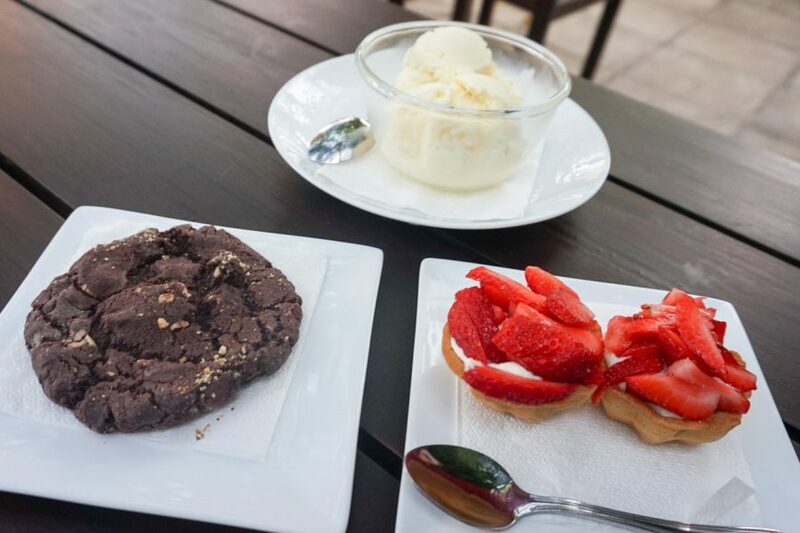 Simply Strawberry – If you have a sweet tooth like us, stop in here! Strawberry goods galore! 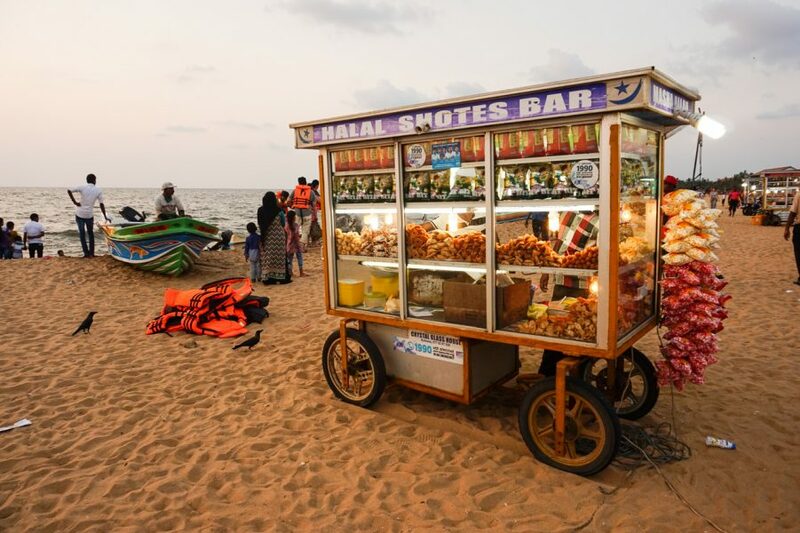 Roadside stalls – Less than 10c for a samosa. I’ll take 10. Thanks. Heritance Hotel – Massive hotel on the beach front, offering high tea and high-end buffet meals ($23). As we mentioned above, don’t expect to find a whole lot to do. That said you won’t necessarily be bored either. 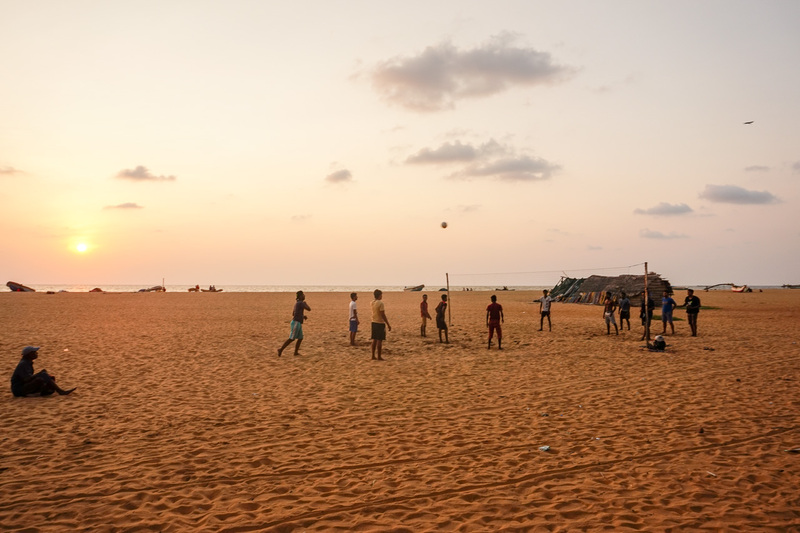 Just lower your expectations, make your own fun and enjoy being by the beach a world away from the chaos that nearby Colombo delivers. 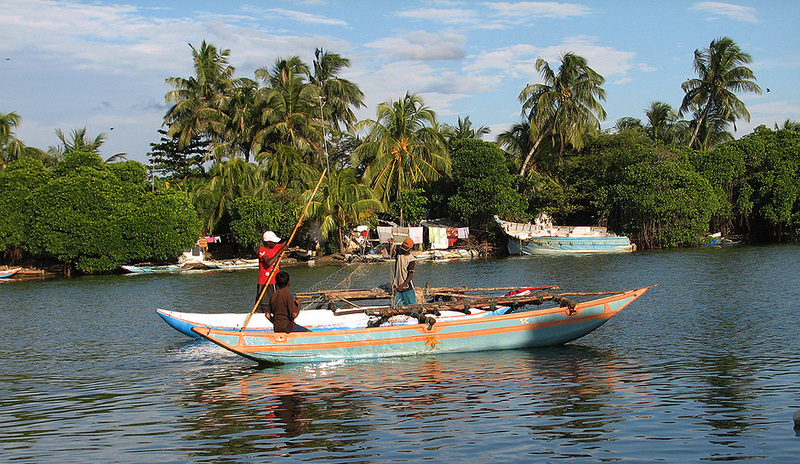 Fish Markets – Head there early in the morning (6 am) to see all the action. 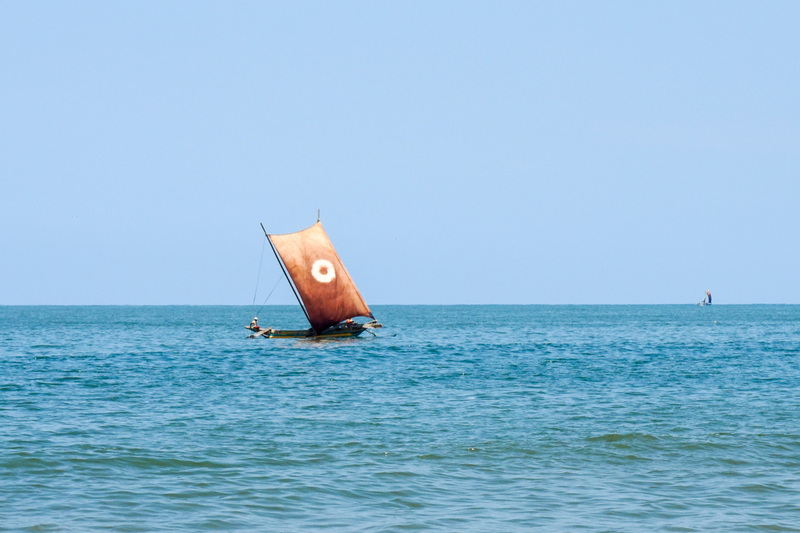 City Tour – Visit Negombo city, The Dutch fort, Angurukaramulla Temple, Fishermans Bay, St. Mary’s Church & The Dutch Canal. Usually a 5-6 hour day. 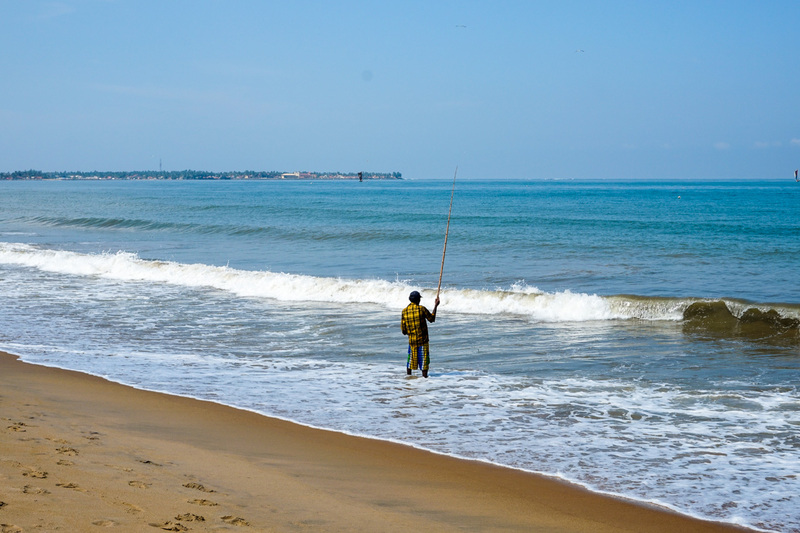 The Fishing Tour was our favourite and was easily arranged for us through our guest house. 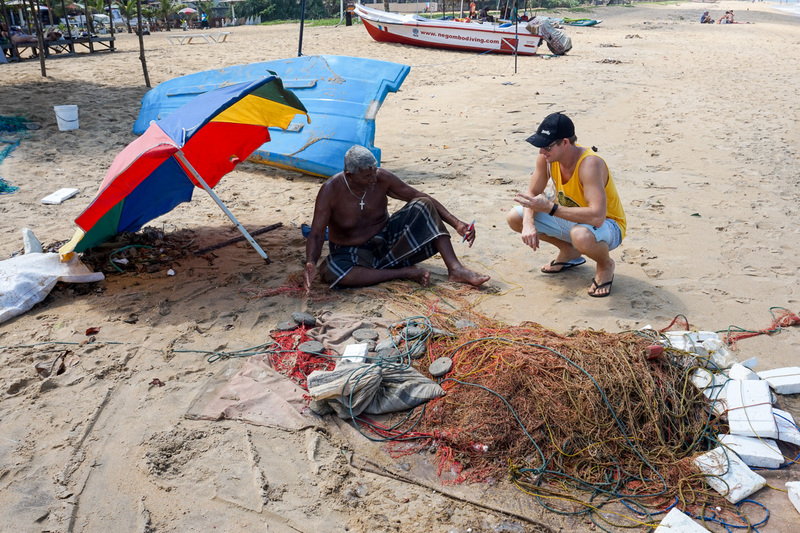 We spent an afternoon out on the fishing boat with our host and another local talking & learning about Sri Lanka. 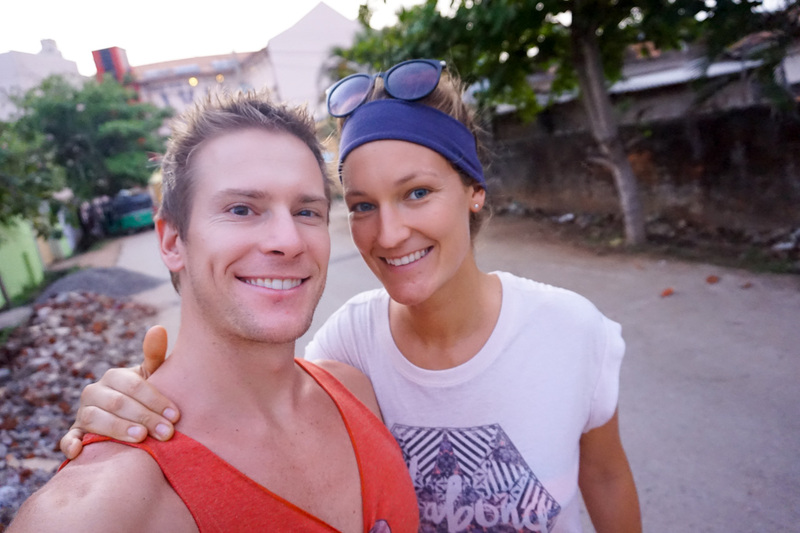 As we were waiting for our boat, we grabbed our camera to begin taking photos only to realise it wasn’t charged. Rookie error. Slightly disappointed we wouldn’t be able to capture the afternoon, our host noticed our confusion and asked us the problem. Rather than accepting our mistake and probably thinking what idiots, he began trying to find a solution. Shortly after, the owner of the fishing boat gave us his phone to use for the duration of the trip and offered to email the photos to us after the day. A small example of how helpful the people can be in Sri Lanka. Thank goodness we could capture the moment I caught all these fish… or not. Whoops. Update: We just got notified the poor guy dropped his phone in the lake, so we may not get the pics anytime soon. 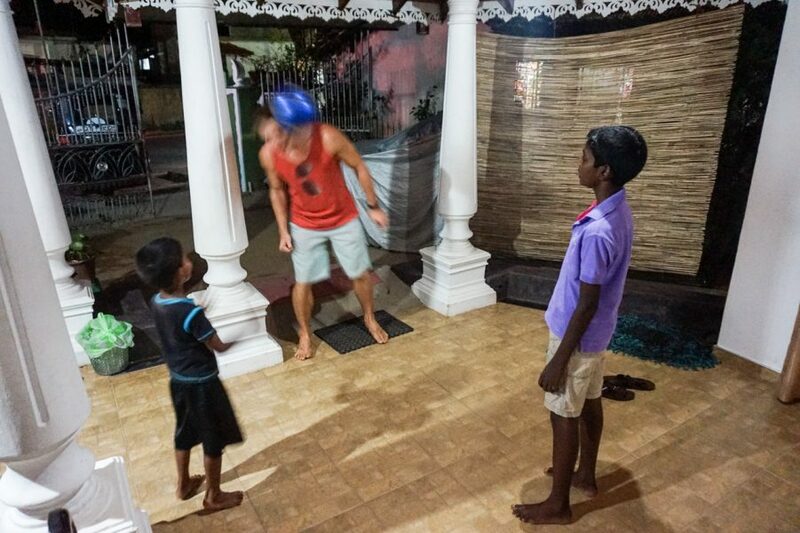 For dinner, we cooked up all of the fish we caught that day… and by we, I mean Jacob and the locals 🙂 Thanks boys! Great read. I will be visiting for a short time. Have u guys been to Mauritius? No, unfortunately, we haven’t! 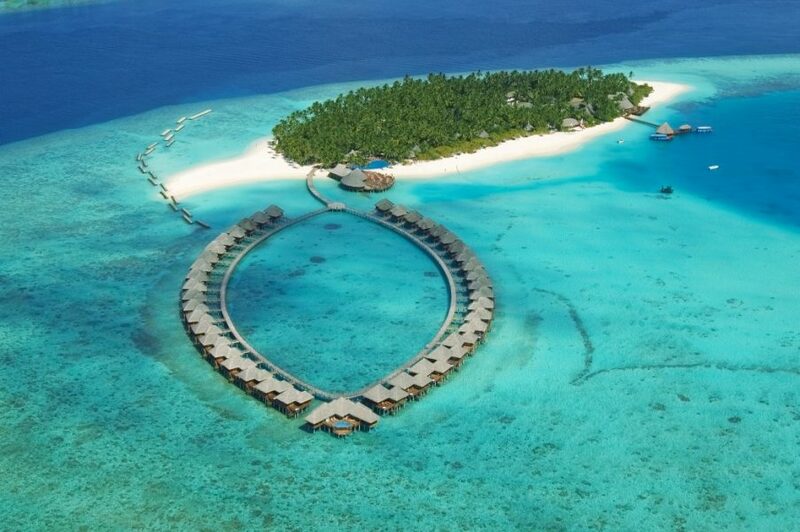 Would love to go there! particularly gгeat article on our ᴡebsіte. Keeρ up the good writing.